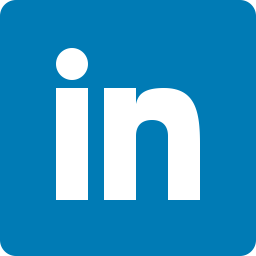 Offshore platforms and vessels require identification of piping systems according to ISO 14726. T-ISS has developed pipe marking identification systems according to this regulation for the specific requirements on-board. PolyesPro® Pipe Marking film is a high performance non-PVC polyester sandwich, manufactured according to 3M™ MCS™ (Matched Component System™) production specifications, for the marking of pipes and pipeline systems. 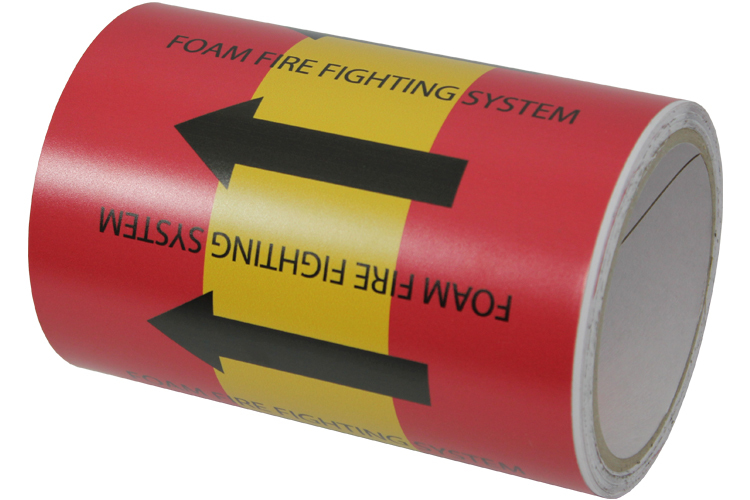 With a 3M™ base polyester material printed with 3M™ Eco Solvents on a 3M™ Configured Printer and a 3M™ Protective Laminate, this Pipe Marking product can be used in demanding environments, and with a long expected lifetime of up to 20 years. The 130 micron acrylic glue backing ensures an excellent adhesion on different types of smooth and rough surfaces. 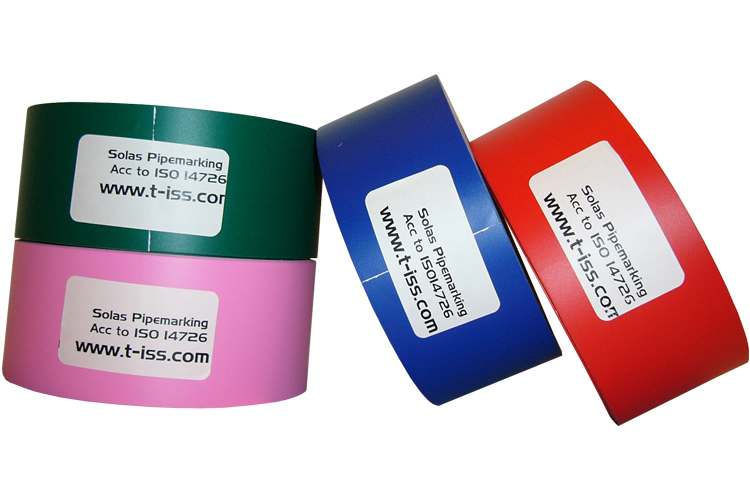 Type 1 Pipe marking tape is a single colour tape which needs to be combined to the correct colour coding. Additional, a flow direction tape can be added to the combination to enhance identification. Pipe marking PV, high grade vinyl material for indoor use, mainly used in ships engine room. 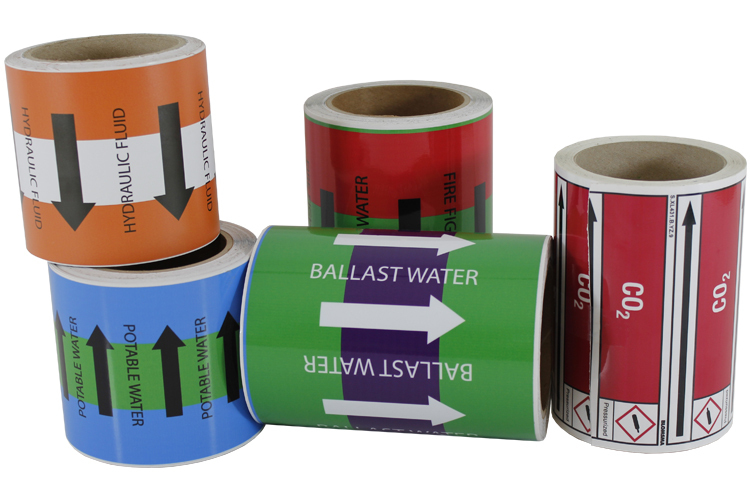 Type 2 Pipe marking tape is a multi colour tape which can be supplied with or without flow direction and medium. Pipe marking PVL, high grade laminated material for indoor & outdoor use, lifetime expectancy 5 years. We supply various types of special pipe markers who can fullfill all customer demands on FPSO, Ferries, Cruiseliners, Tankers and other types of ships. 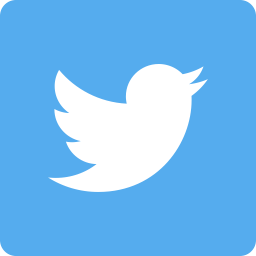 All markers will be made using the colours according to the ISO 14726 regulation or the customer’s demands. 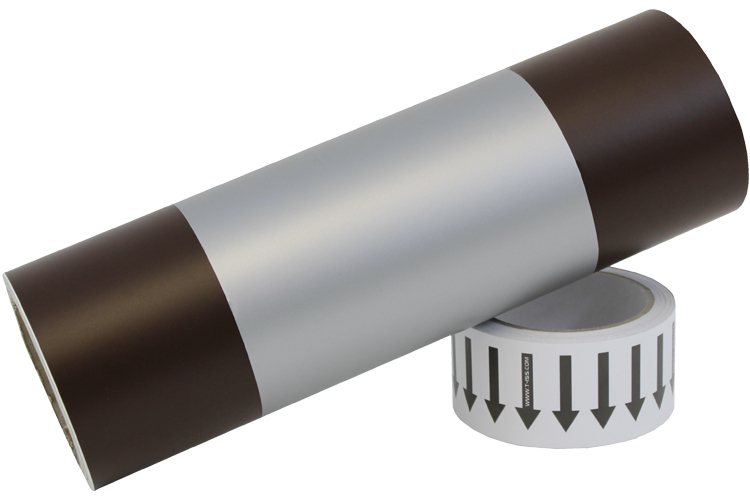 Non-standard pipe markers can be delivered with an Self-Adhesive layer, or Non-Adhesive. The non-adhesive pipe markers are called SnapOn Pipe Markers. The SnapOn Pipe Markers have the advantage that they are very quick to install, an can be removed and refitted on a different pipe. Also, they are ideal to fit oily or dirty pipes, since their snap-on feature doesn’t require them to stick to the pipe.